Information about the conduct or operations of a charity or an alleged charity that comes to the attention of Charity Navigator, is reviewed by the CN Advisory Issuance Committee (CNAIC). When considering whether to post a CN Advisory, the CNAIC considers: (1) the credibility and timeliness of the information source; (2) the nature, scope, and seriousness of the allegations or convictions; (3) whether or not the allegations have been proven, and (4) other factors thought to be important on a case-by-case basis. The CNAIC does not have the capability to independently assess the accuracy of the information, nor does it attempt to do so. The committee views its role solely to determine whether a donor might find such information helpful when considering whether to make a contribution to the organization. Charity Navigator makes no representation nor takes any position about the accuracy or completeness of the reports referred to in the CN Advisory or information in the external links to which donors are directed. The views and opinions expressed are those of the authors or sources of the information, and not those of Charity Navigator. Charity Navigator is not responsible for the nature or content of the information presented through external sources and websites. Charity Navigator reminds users of its site that it is ultimately their responsibility to decide whether a particular charity is appropriate for them, and that they should take into account as many sources of information (aside from Charity Navigator) as they feel comfortable in making their donation decision. If a charity is rated and the Committee determines a CN Advisory is necessary, then we will continue to provide historical rating information for that organization. 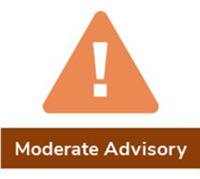 For High Concern CN Advisories and certain Moderate Concern CN Advisories, the advisory will replace the star rating and all previous ratings will appear in the historical section of the organization’s profile. However, for Low Concern CN Advisories, the advisory will not replace the current rating but will appear in conjunction with it. In cases where a charity has not been rated, but is listed as a registered charity in the IRS database, then we will continue to display the basic IRS information provided on the organization’s unrated page. If the organization is not listed in the IRS database as a US registered charity, there is no information available to display. 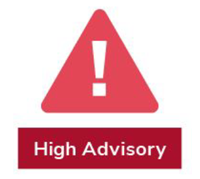 If a charity’s contact information is available and accessible, we will notify it in advance of publishing a new CN Advisory to provide an opportunity for the charity to submit information about the issue(s) that led to the CN Advisory. 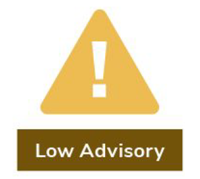 Low Concern CN Advisories will remain in place for a minimum of 6 months and High to Moderate Concern CN Advisories will remain in place for a minimum of 12 months. If the charity provides public domain documentation or similarly reliable and accessible information that shows that the issues identified in the CN Advisory have been resolved, and that they have taken action steps to prevent the issue from happening again, then the advisory may be removed sooner. Please keep in mind that the CNAIC will not consider discussing these matters by phone or in person with the charity before initial communication by email. See How Do We Decide to Remove a CN Advisory? for an explanation about our process for removing CN Advisories. See our FAQs for more information on the CN Advisory System.